On Monday something happened to me for the first time- I got my brows done! I had been playing with the idea for some years now but I never actually did anything about it. I had the typical fears- what if it hurts, what if I don’t like the result, what if pick the wrong salon, what if I get dark Crayola brows, and so on. Last week I won a Facebook contest to get my brows done, and before I knew it, I was sitting in a chair, and a professional was making my brows pretty. If you want to know more, keep reading. Like I mentioned in the first paragraph, I won a Facebook contest. The winner got the chance to get their brows done at Mari Meigistuudio salon. I got an appointment for Monday. Luckily for me, the salon is in the centre of the city, and is convenient by way of tram, bus, or car. When the day arrived, with a bit of nervous trembling inside, I walked in the salon and sat down in the chair. One of the first questions posed to me was, had i ever gotten my brows done before, and what were my expectations. I expressed my wishes to keep my natural brow line and the natural look. One of the most comforting things I heard was that my brows are already darn near perfect. I have a perfect arch and length, the only thing which could be retouched is the colour. Next thirty minutes passed with pleasant small talk while the girl worked. She plucked, trimmed, threaded and dyed my brows. Not particularly in that order! By now I don’t remember the correct order so I am not going to lie. I knew she was a professional, so I let her do what she had to do. I had full trust in her decisions. The procedure itself was comfortable. The threading felt like a little needle massage and plucking was like it usually is. It wasn’t bad at all. They don’t use wax anymore because that can cause irritation on skin. Besides, threading is removing all little teeny tiny hairs better without damaging the skin. 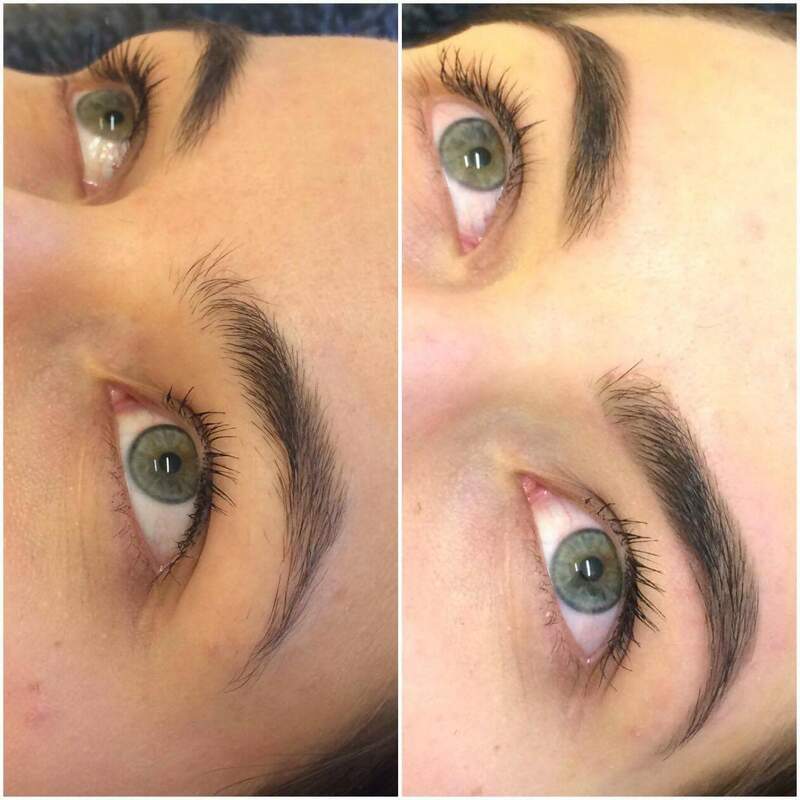 My trust was 100% in the right person because after she was finished, I had the best brows I have ever had. My natural arch and line was still there but with more defined look. Thanks to the dying I also have brows after I take my makeup off. It is also convenient on days where I am wearing no makeup or a light one. Here you can see before/after look. Have you ever gotten your brows done by a professional? Or you are rather self-made girl and prefer to do your brows yourself? Let me know in the comments. I hope you enjoyed this post. If you have any questions or comments, don’t hesitate to let me know. Also, make sure you like and follow my blog, my Bloglovin´ page, my Twitter, my Facebook page, and Instagram so you won’t miss out on any future posts! If you have a Snapchat, add me- Adryanawp. Oh, that’s bad but at least brows grow back! 🙂 And thank you! I’m also happy with my brows! Eyebrows always look great after being shaped by someone who understands one’s face shape and requirement.. And, your eyebrows look so much better..!! Great looking brows and they are super important! I did used to get my brows done but it was just purely because everyone else I knew got theirs done professionally. I barely have any eye brows to begin with! It was silly and a waste of money. Now, I just pluck the odd stray hair and that’s it. Mostly, I need to fill my brows in daily – they’re very sparse naturally – I never over plucked them. Your brows look amazing though – they did a great job!